Day 1 : Meeting at our canoe base. Preparation of the equipment, our shuttle will take you to the boarding site. Transport or deposit of your luggage to your camping or hotel site. 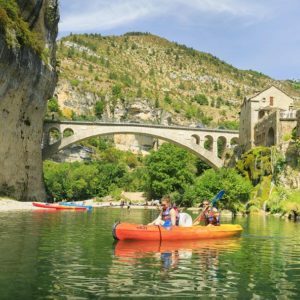 Descent of the Tarn and arrival at your accommodation located by the riverbank. Day 2 : Departure for your descent. At the arrival our shuttle will take you back to your vehicle. 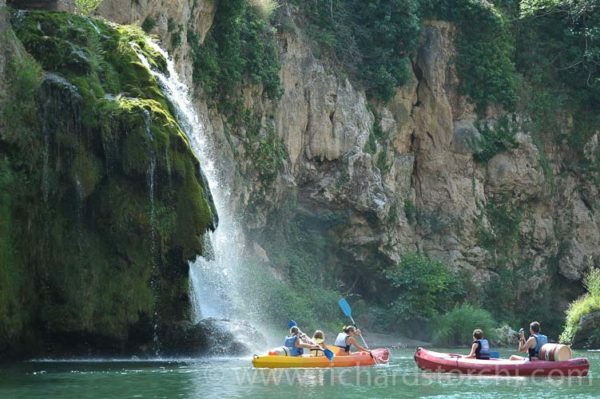 The Tarn provides navigation over still and transparent water, in the heart of the Gorges du Tarn, a site ranked UNESCO World Heritage, for an unforgettable trip of 1 to 2 days and up to 3 days (accommodation in camping, tent cottage, mobil home or hotel). On the boat you will only bring provisions strictly necessary for one day, for your convenience your luggage will remain at your accommodation.